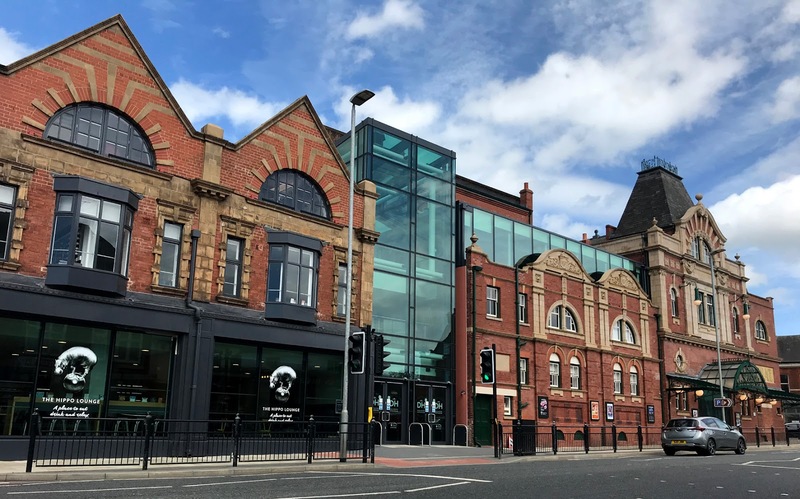 Darlington Hippodrome is throwing open its doors during August, hosting a range of exciting activities including live music in the Hippo Lounge, theatre tours, craft, dance and drama workshops, opportunities to view archive materials and an exciting ‘Family Trail’. A brand new ‘Family Trail’ will be launched on Thursday 2nd August at 11am. This free trail is an interactive tour through the theatre with fun facts and questions to answer. The free family trail will be available all day every day – simply pick up a copy from the Box Office. Local artist Sarah Oatley will hold a vintage brooch workshop on Wednesday 8th August from 10.30am to 12.30pm. Join Sarah to make a unique brooch using vintage fabrics and threads (all provided on the day). Tickets £5. On Monday 6th August from 10am to 3pm Debbie Harbin will lead an exciting dance workshop based on the story of Rumpelstiltskin, creating a piece to be performed for family and friends. Tickets £8. A free Archive Day will be held on Thursday 9th August from 10.30am to 4pm. This is a fantastic opportunity to look at the wide variety of interesting theatre archive materials. You can also talk to theatre staff and volunteers about the history of the theatre. Just drop in any time. More free, live lunchtime music can be enjoyed on Saturday 11th August from 12noon to 2pm. There will be classic cool sounds played on sax and guitar with vocals and harmonica with Somethin’ Blue. On Tuesday 14th August from 11am to 11.30am there will be a free introductory talk led by Laurence Sach about the history of Darlington Hippodrome. Laurence is a performing arts lecturer and freelance writer and director, and will be leading a 16 week course at the Hippodrome starting in October. This talk is free but a ticket is required. What’s in the box? On Thursday 16th August from 10.30am to 12.30pm pop along and meet Signor Pepi who will be opening up his suitcase to explore the contents which tell his fascinating story. Tickets £3.50. More live lunchtime music with Somethin’ Blue will take place in the Hippo Lounge on Saturday 18th August from 12noon to 2pm. Sarah Oatley will be back on Thursday 23rd August from 10.30am to 12.30pm with a fabulous weaving workshop. Create your own masterpiece using fabric, wool and other recyclable materials. Children £3.50. There’s more live music in the Hippo Lounge from 12noon to 2pm on Saturday 25th August introducing Jack Hedges and Cameron Wallace. The August activities round off on Thursday 30th August from 11.30am to 12.30pm with an exhibition tour with the theatre’s director. Join Lynda Winstanley for a tour of the current exhibitions in the theatre and discover more about the history of the Hippodrome. Tickets £3 includes a tea/coffee or soft drink.